- Joysticks: Kempston, Sinclair and Cursor using keyboard. - Poke instructions in .POK format. - Emulator configuration in file '.glukalka' in your home directory. - OSF/Motif® library such as LessTif. - True full duplex sound card is recommended. Q: Where can I download latest version of this emulator ? A: Latest version of the emulator can be founded at emulator's Project Page. Q: Emulator runs slow ! with Intel® Pentium® II CPU. 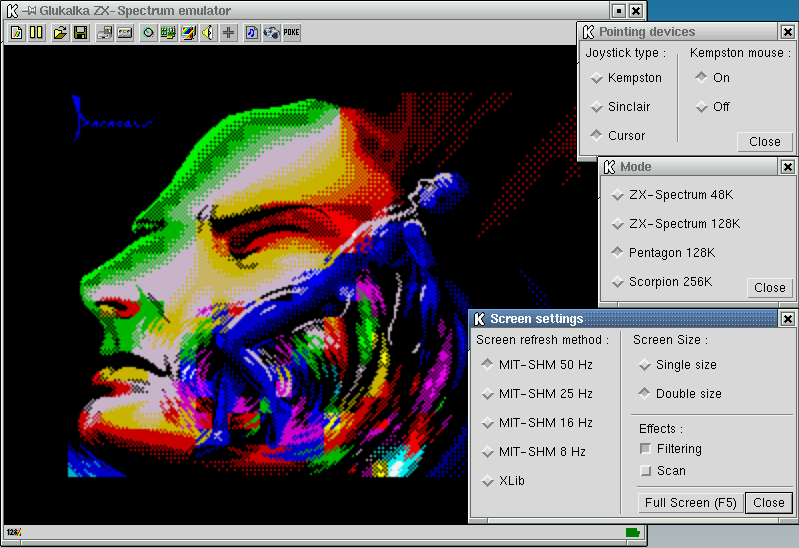 - 16 bit colour depth. - 8 bit colour depth.